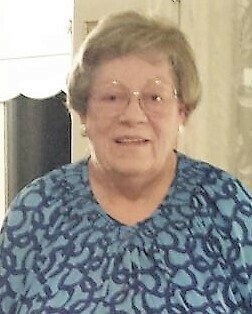 Mary Katherine Ficken Syphus passed away Monday, Jan. 23, 2017, from causes incident to age. She was born Jan. 5, 1932, in Cedar Hill, Missouri, to Oscar and Emma Wilson Ficken. She grew up in St Louis and at the family farm in Dittmer, Missouri. She attended Cleveland High School and graduated in 1950. After she graduated from high school, she worked in the city and on the weekends visited her sister, Maxine, and brother-in-law, Warren. Maxine and Warren had joined The Church of Jesus Christ of Latter-day Saints and it was at their home she met Elder Syphus, a cute, shy missionary from St George, Utah. Beebe baptized Mary and after he returned home from his mission, her parents brought her to St. George and Mary and Beebe were married in the living room of his home on Nov. 5, 1951. Later, their marriage was solemnized in the St. George LDS Temple, on June 11, 1952. Mary resided in St. George for the next 60 years, where she raised six wonderful children. She was an amazing homemaker and served in many church callings, especially primary. Mary was involved in the community, serving in PTA and 4-H for many years. Ladies in her neighborhood invited her to be in their “rook club” and became her dearest friends and helped her to survive in the Southern Utah desert. Mary became an expert genealogist and spent hours compiling records and staying in touch with relatives. Many happy hours were spent at their home in Pine Valley with friends and family. Mary is survived by her beloved husband of 65 years, Fay Beebe Syphus; children, Les (Iona), Doug (Wendy), Dave (Rhonda), Katherine Lee (Jerry), Daniel (Kim), Marilyn Bell (Daniel) of Bountiful, Utah. She is also survived by 32 grandchildren and 45 great-grandchildren; brothers and sisters-in-law, Mary Ficken, Merrill and Deane Syphus, Bob Jensen, Stanley and Bonnie Syphus, Lenore Syphus and many nieces and nephews. Mary was preceded in death by her parents, Oscar and Emma Ficken; siblings, Maxine (Warren), Floyd (Virginia), and Jimmy; sisters-in-law, Betty Syphus Jensen and Sharlene Syphus. Funeral services will be held, Saturday, Jan. 28, at 11 a.m., at the Morningside LDS Chapel, 930 S. Morningside Drive, St George, Utah. A viewing will be held on Friday evening from 5-7 p.m. at Spilsbury Mortuary, 110 S. Bluff Street, and before services on Saturday at the church from 9:30-10:30 am. Interment will take place at the St George City Cemetery. Arrangements are made under the direction of Spilsbury Mortuary, (435) 673-2454. Friends and family are invited to sign her guestbook at www.spilsburymortuary.com.